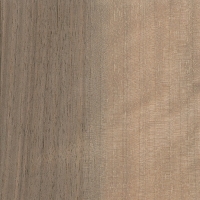 Color/Appearance: Heartwood colors can vary from lighter golden yellow to reddish brown, sometimes with darker brown to nearly black streaks. 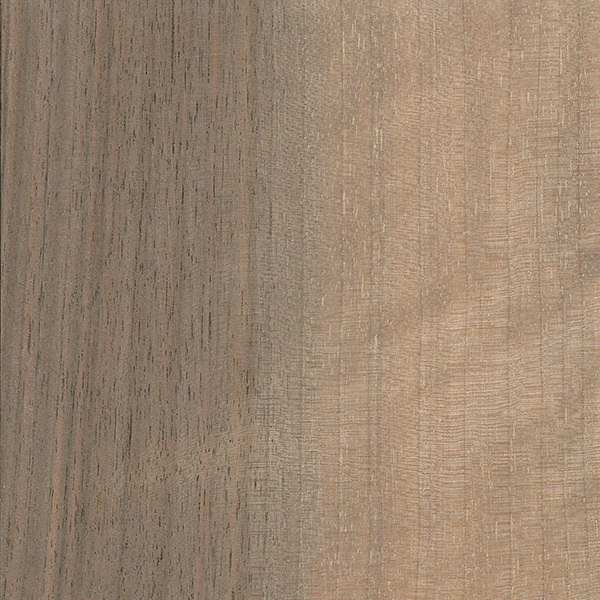 Paler sapwood isn’t always sharly demarcated from the heartwood. 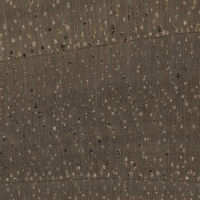 Curly or rippled grain is also seen on some sections. 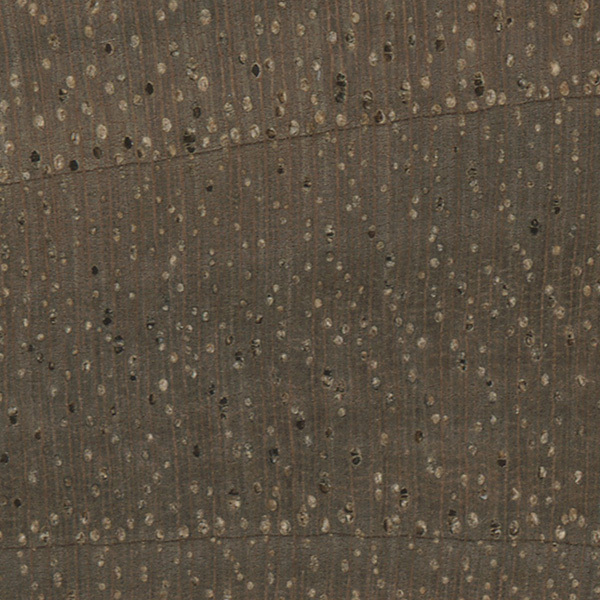 Endgrain: Semi-ring-porous; large earlywood pores grading to medium latewood pores, few; solitary and radial multiples of 2-3; tyloses occasionally to abundantly present; growth rings distinct; medium rays barely visible without lens, normal spacing; parenchyma diffuse-in-aggregates (sometimes very faint and barely visible even with lens) and banded (marginal). Rot Resistance: No data available, but most likely at least moderately durable to very durable, matching the durability of the parent species (J. regia and J. hindsii). Workability: Typically easy to work provided the grain is straight and regular. Planer tearout can sometimes be a problem when surfacing pieces with irregular or figured grain. 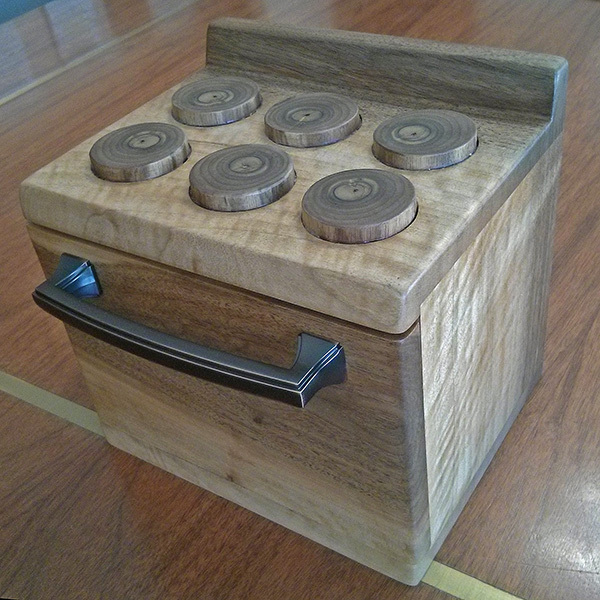 Glues, stains, and finishes well, (though walnut is rarely stained). Odor: Bastogne Walnut has a faint, mild odor when being worked. 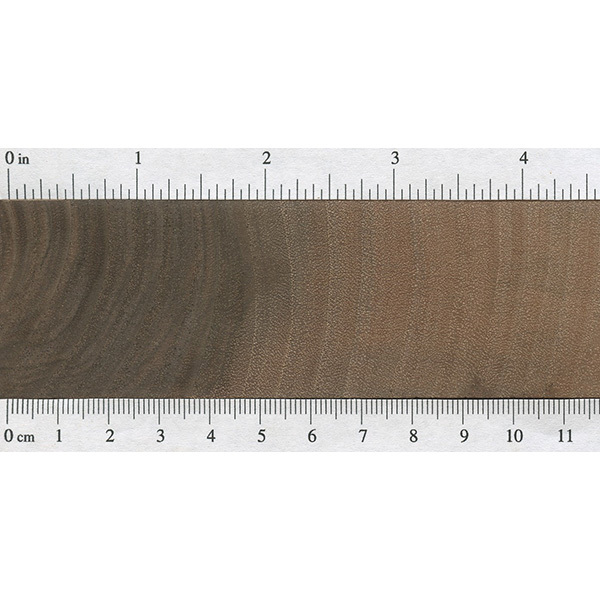 Allergies/Toxicity: Other species in the Juglans genus (such as Black or English Walnut) have been reported as sensitizers, and Claro Walnut is likely to generate similar allergic reactions. Usually most common reactions simply include eye and skin irritation. See the articles Wood Allergies and Toxicity and Wood Dust Safety for more information. 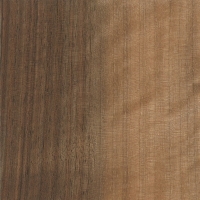 Pricing/Availability: Regular lumber is slightly more expensive than the more common Black Walnut. 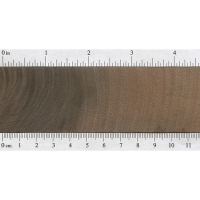 However, as is the case with most walnuts, pricing for figured Bastogne Walnut is heavily tied to its quality of color and figure, with the highest grades being extremely expensive—easily on par with imported exotic timbers. Common Uses: Gunstocks, veneer, fine furniture, turned objects, musical instruments (guitars), knife handles, and other small specialty items. Comments: Plant breeder Luther Burbank experimented with hybrid walnuts beginning in the 1890s, and cross pollinated the native Claro Walnut with English Walnut. The resulting hybrid was quite puzzling: the tree grew grew faster than either of the parent species, and also yielded harder and stronger lumber (though unfortunately it didn’t produce very many walnuts). 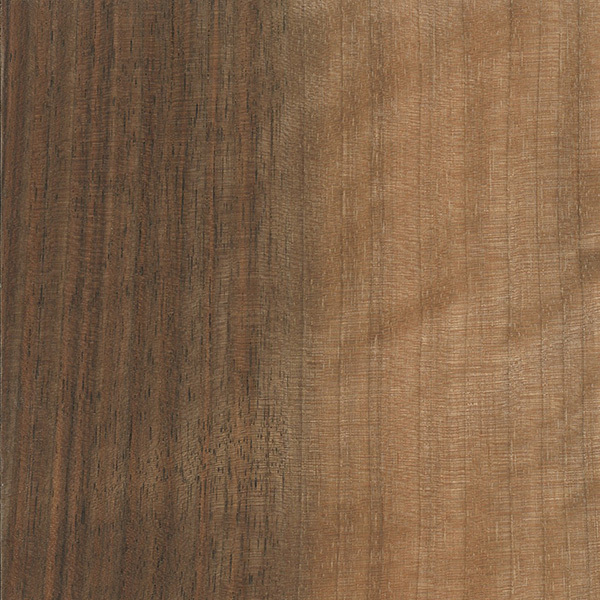 Because of these anomalies, Burbank named the hybrid “Paradox.” The name Bastogne Walnut appears to be a marketing term, and is not commonly used outside of woodworking circles. 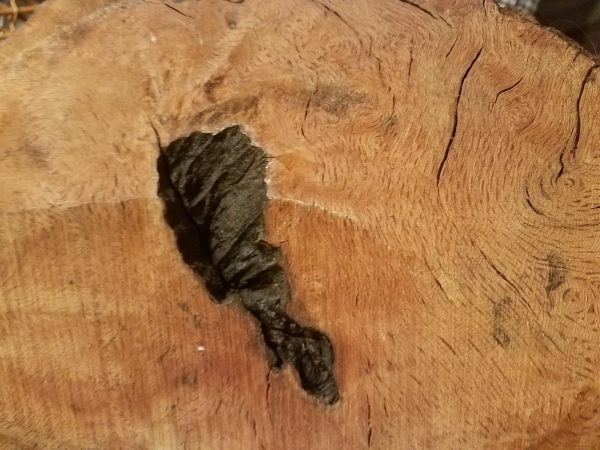 I’ve got an old piece of wood that needs identifying. It’s very unique. Haven’t seen anything like it. Thanks.